Digital Smile Design is a revolutionary system that consists of designing the perfect smile through analyzing the patient’s facial features. Using photos of the patient, we perform an individualized aesthetic facial and dental study for each patient. Through this study, we transfer all the unique data to a computer system on which we obtain a digitized design of the perfect smile for each personal profile. 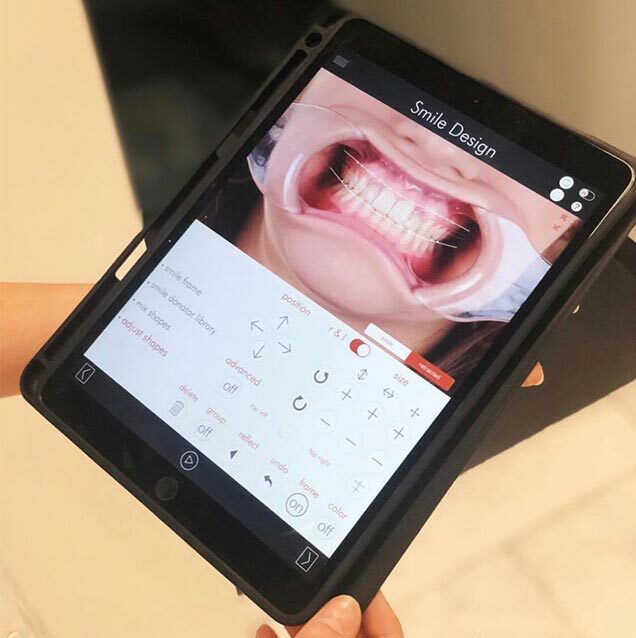 But more interestingly, we can directly test the design in the patient’s mouth without altering any teeth, in one appointment, free of charge. 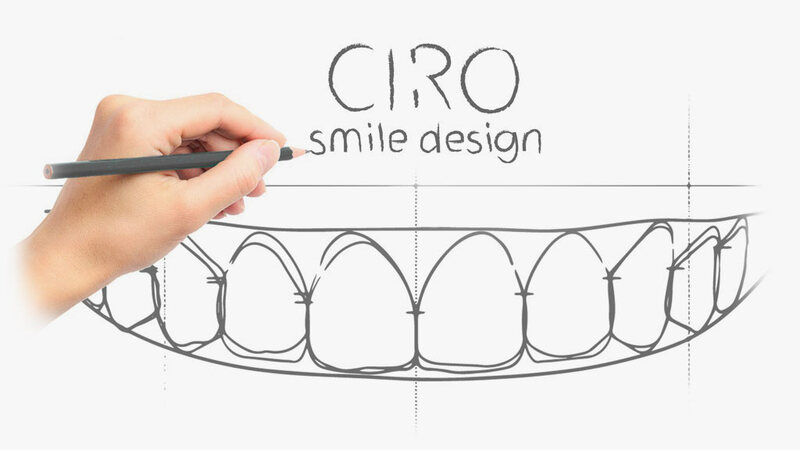 In other words, at no cost, our patients can see how their smile could be with perfect teeth using a digitized design. Dr. David Jimenez Garcia, our Aesthetics and Prosthetics Specialist, can analyze and improve your smile with máximum effect. Minimal invasive prosthesis (inlays) are small pieces of ceramic parts which replace teeth matter which has been lost, such as cavities or fractures. 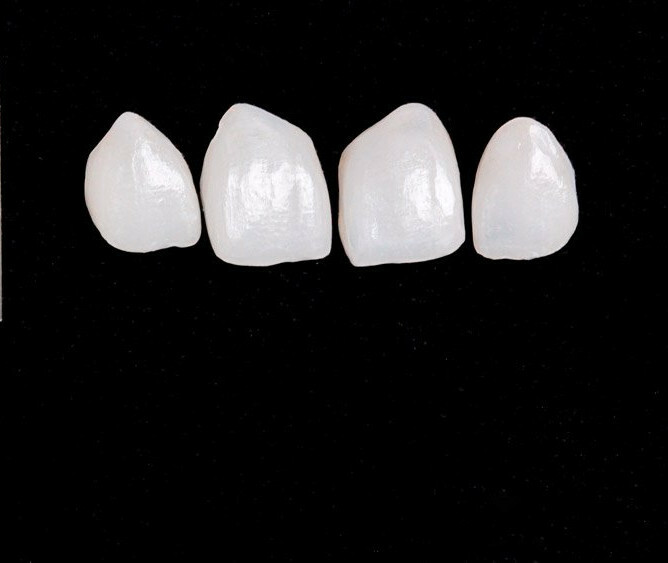 It is a much more conservative treatment than a crown (cap), and from the aesthetic point of view, a ceramic inlay mimics a healthy tooth better than a crown when placed on a tooth. These restorations are metal-free and are much more pleasing aesthetically than metal-based restorations because we can accurately match the color of the inlay to your existing teeth. Veneers are thin layers of different materials that are very resistant as composite, (eg. porcelain, glass-ceramic, feldspathic) and are placed on the original enamel of the teeth. Veneers are capable of providing an absolutely natural aesthetic, achieving correct morphology alterations, shape or colour and can be adhered painlessly and quickly as they are minimally invasive. If you wish to improve your dental aesthetics feel free to make an enquiry. We will explain all the possibilities and alternatives to improve your dental appearance.